Splatoon 2 has a couple of major releases upcoming in 2018, including a new retail edition in North America and two amiibo based on the game’s Off the Hook idols. The game’s Starter Edition is releasing in the US on March 16th for the standard MSRP of $59.99. The package includes the game itself, a strategy guide and sticker sheets. As for the amiibo, figures of Pearl and Marina, Splatoon 2‘s musical idols who greet players to announce news and updates, will get figures sometime in 2018. In North America, they’ll be sold together as a two-pack for $24.99 USD. Their functionality is unknown, although they are likely to follow in previous Splatoon 2 amiibo by letting players photograph their avatars with the characters. 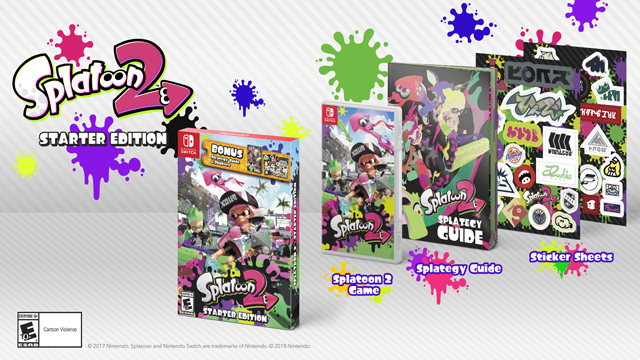 The Starter Edition of Splatoon 2 mirrors a similar re-packaging of The Legend of Zelda: Breath of the Wild last fall, when its Explorer’s Edition came packed with an art book and a map of the game’s Hyrule. 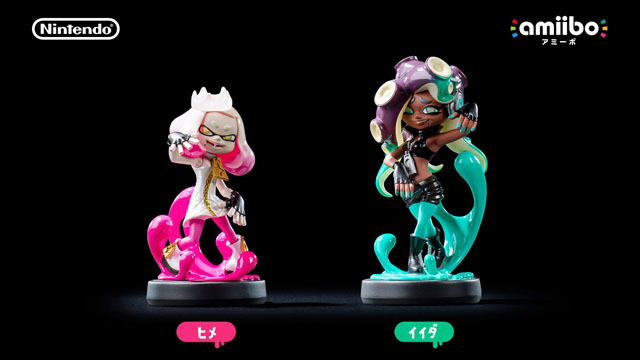 So far, all the amiibo figures released emulate the strategy of the original Splatoon, where its Squid Sisters Callie and Marie had their own figures months after the game’s initial release. Splatoon 2 continues to carry momentum into 2018, as Japan just held its second holographic Niconico Tokaigi 2018 concert and free updates continue to be added weekly. The next North American Splatfest, a battle of Love and Money, will be held February 16th at 9 PM EST until the 18th at midnight EST.